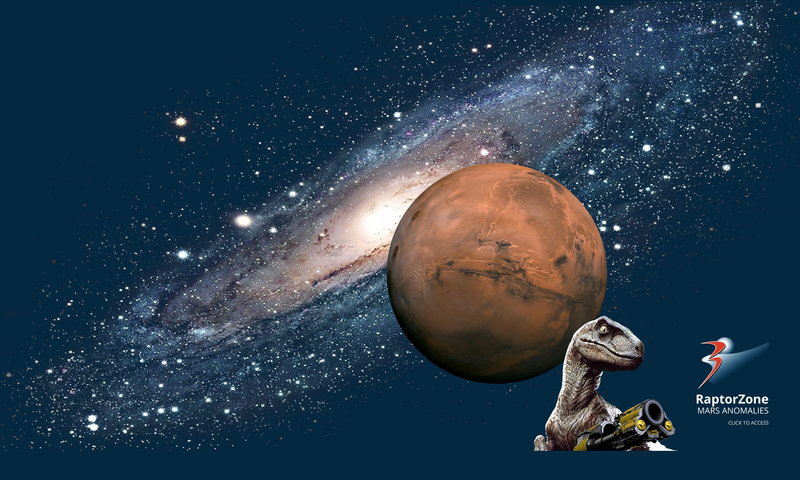 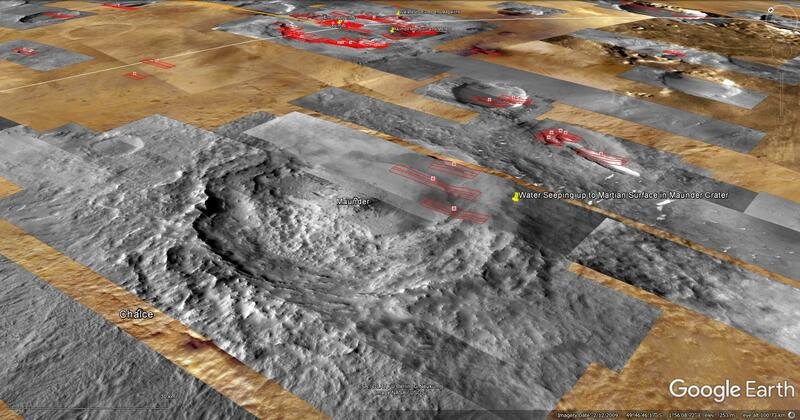 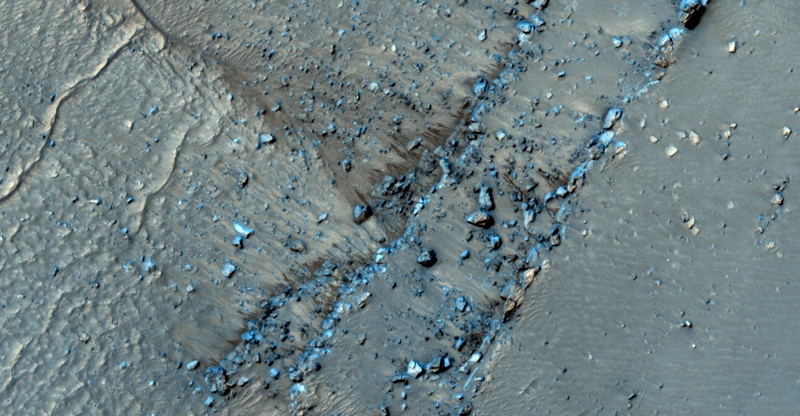 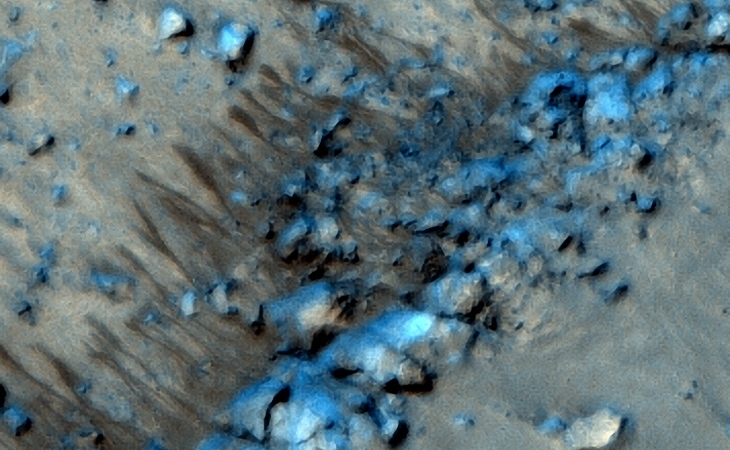 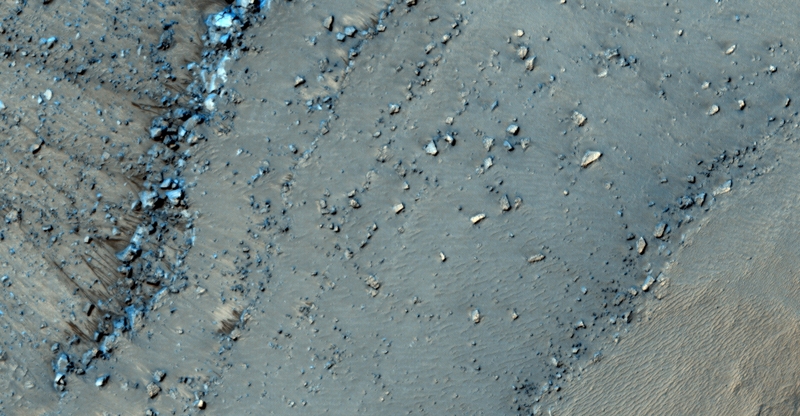 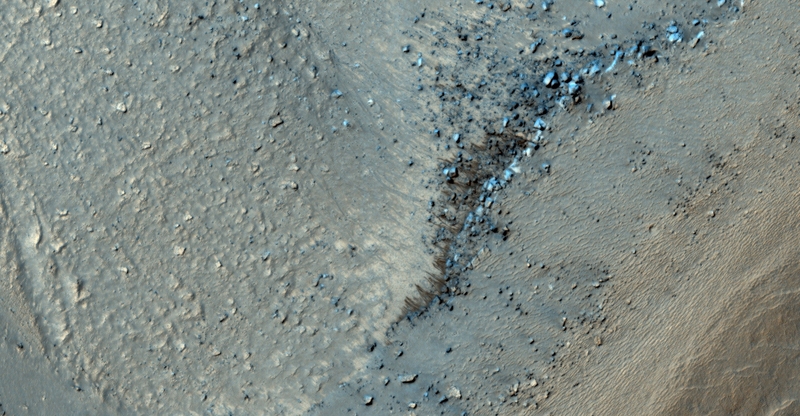 Water Seeping up through Martian Surface in Maunder Crater? 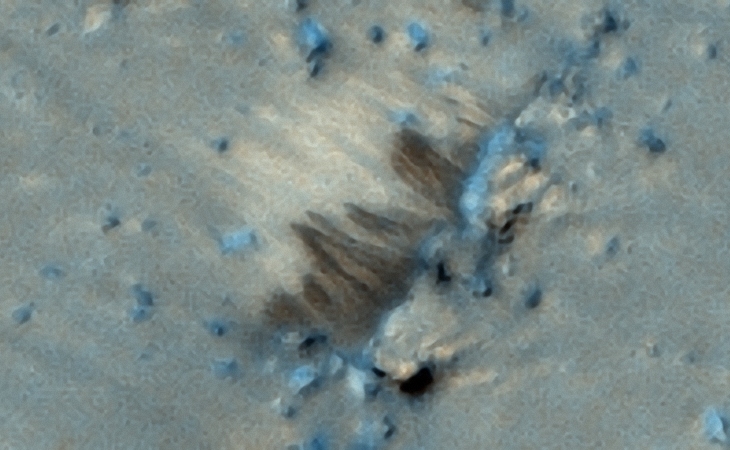 Yet again we discover thin dark streaks emanating from ridge lines and ‘running’ down slopes. 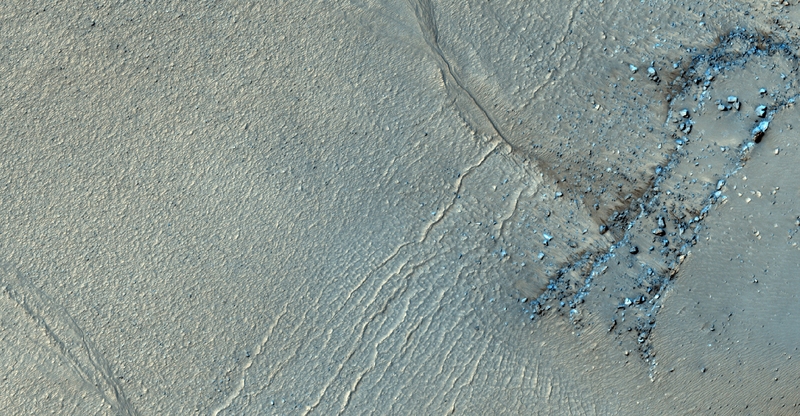 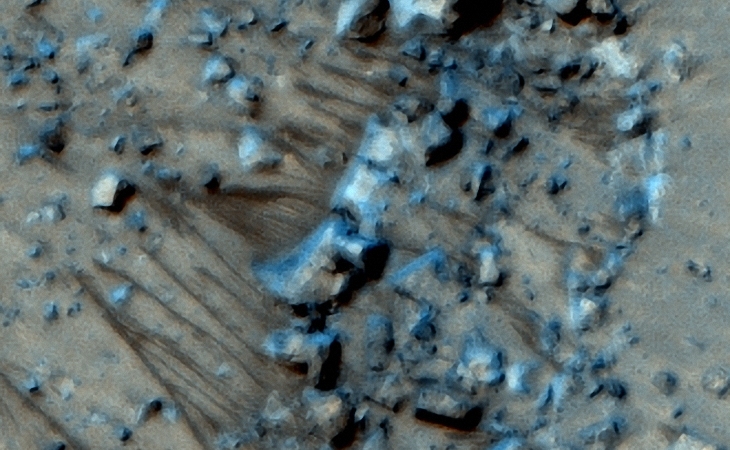 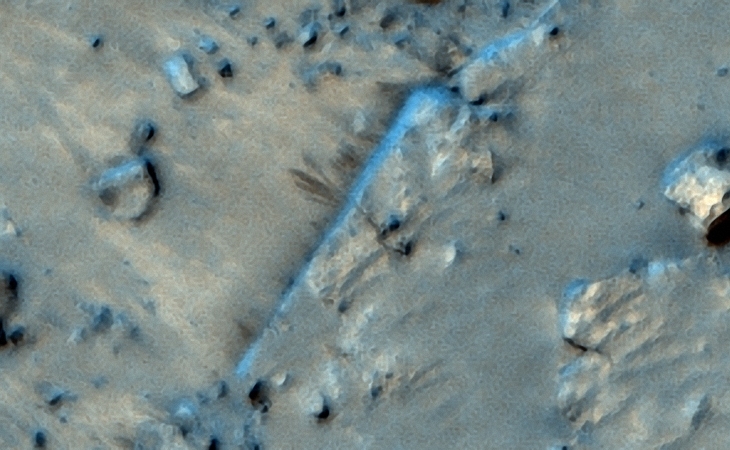 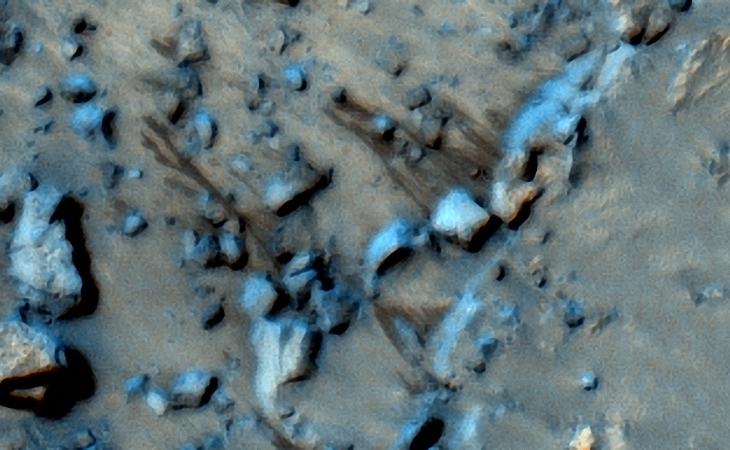 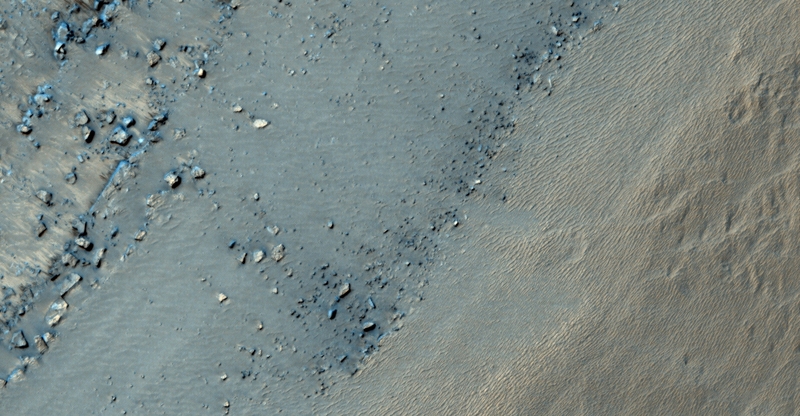 These streaks seem to be caused by water/brine seeping up through the Martian surface and running down the slopes leaving the sand moist with a darker colour. 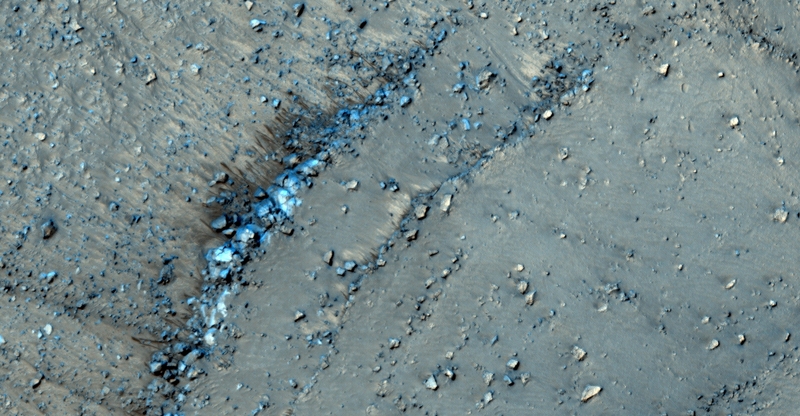 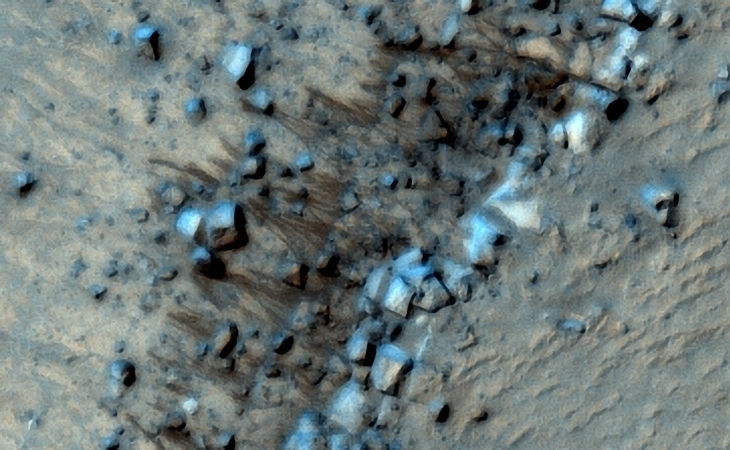 NASA claims these are nothing more than streaks caused by soil moving away leaving darker coloured material below. 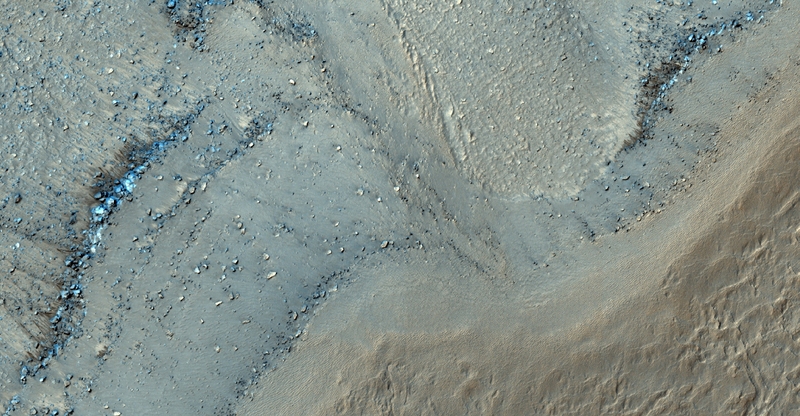 I speculate water/brine may be the cause.